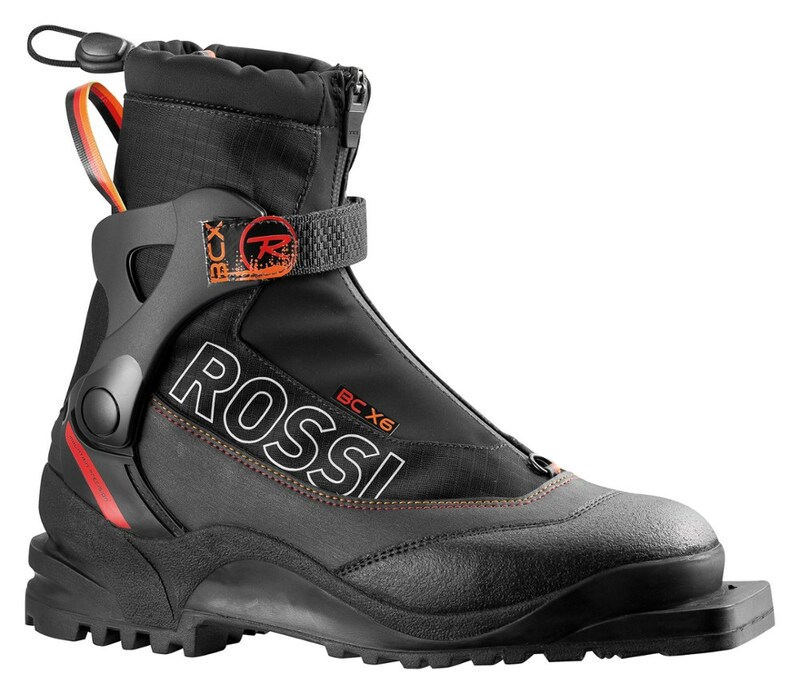 Visit Scarpa's TX Comp page. 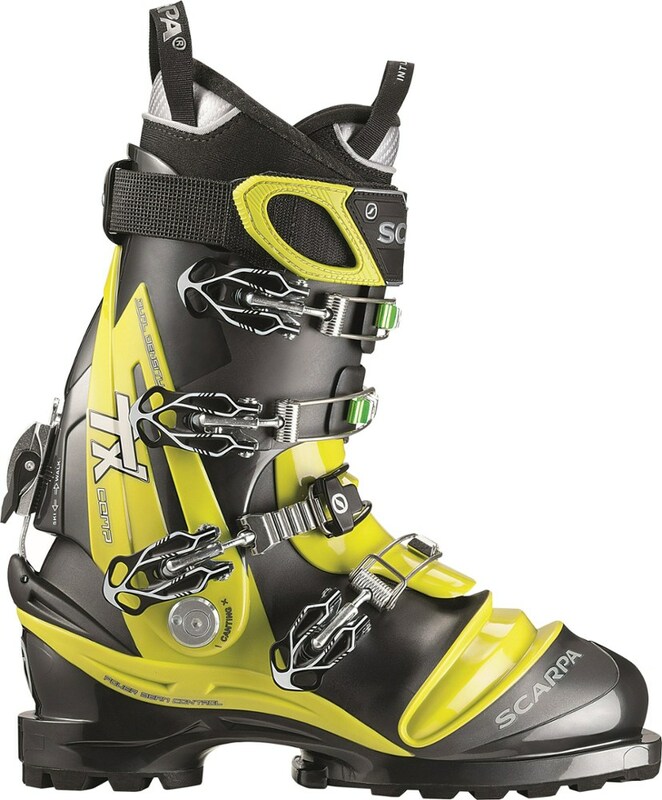 Wide, stiff, and powerful, the TX Comp Telemark Boot carves out its position as Scarpa's NTN-compatible dominator. Armed to the nines with a heat-moldable Intuition Speed Pro G liner, light and powerful Pebax shell, rugged Vibram Evo sole, and a burly power strap, this boot has garnered awards throughout the industry. 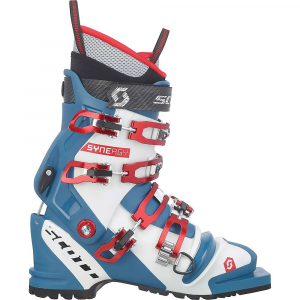 With the inherited edge control, precision, and stiffness from all the meanest freeride alpine models and no "tele toe" in sight, you'll be pushing your limits without hindrance. Need all the power you can handle for your knee-dropping debauchery' Look towards the TX Comp Boot. 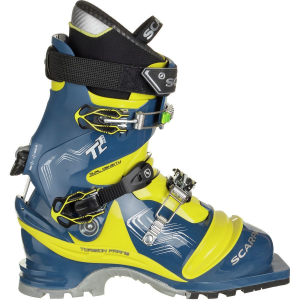 For high-performance telemark turns in powder or on the groomers, the Scarpa TX Comp boots clipped into NTN bindings can't be beat. 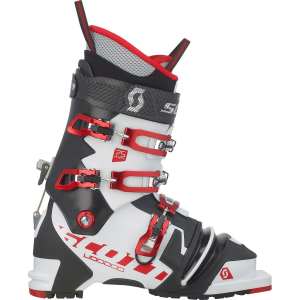 All the power, precision, and muscle of our burliest freeride alpine models, distilled into an NTN-compatible boot. The TX Comp inherits the edge control and stiffness of our most powerful boots, with a triple-injection shell and dual-injected bellows guard for longevity and performance. 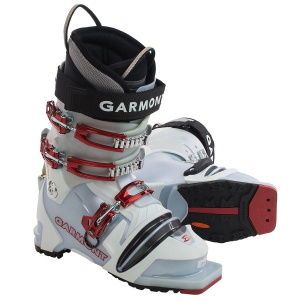 At 102mm wide in the forefoot and with an IntuitionA(R) liner, the TX Comp is fully customizable for the best fit and strongest skiing possible. 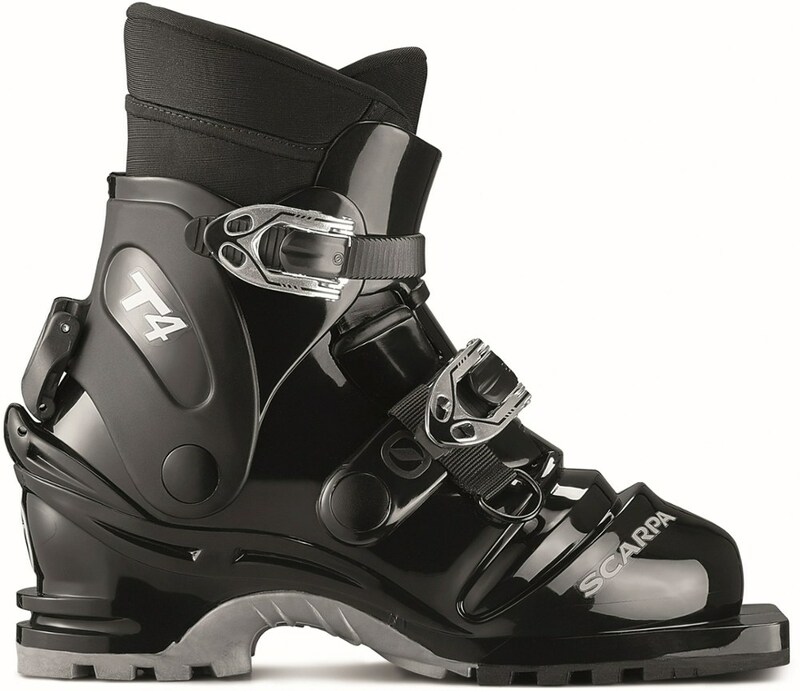 Four buckles, all PebaxA(R), and no "tele toe," this is the boot to push your boundaries.